Many auto enthusiasts seem to think that they have a good idea of their car’s capabilities, but the truth is many of them haven’t even come close to finding the limit. After taking our 2016 Mazda MX-5 around the track for its first D’Garage feature, the Miata came back to the DSPORT shop for its next round of upgrades. 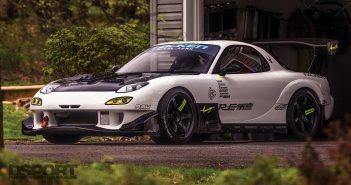 In anticipation of future track days and race events, the ND MX-5 took to some new solutions to improve its cooling and handling, exceeding expectations of what the car could really do on a racetrack. In the last D’Garage, our MX-5 lapped Buttonwillow Raceway’s 13CW layout with CorkSport lowering springs and sway bars, along with a set of Porterfield R4-S brake pads to complement a few power upgrades. A CorkSport Cold Air Intake, Good-Win RoadsterSport Race muffler and an ECU tune added approximately 10whp to the 2.0-liter SkyActiv-G engine, delivering a much improved power curve. Although this first stage proved a 1.793-second gain in lap times, it also helped to reveal what areas needed to be addressed next. The CorkSport lowering springs aided in the car’s handling by significantly dropping its center of gravity and stiffening up the suspension. 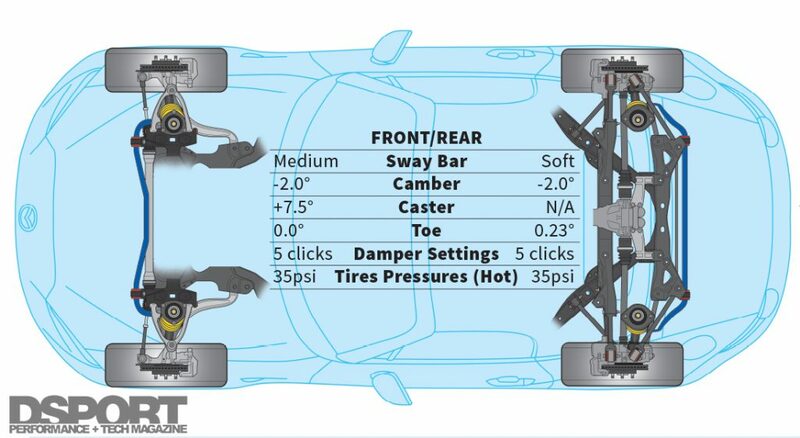 The springs are designed to drop the car by 1.6-inches in the front and 1.1-inches in the rear, though we noticed the fronts to sit a few tenths even lower. On the track, the 2.7 Kg/mm front and 1.9 Kg/mm rear springs made the car much more planted around the corners. However, the suspension still showed its limitations in the factory shock absorbers. 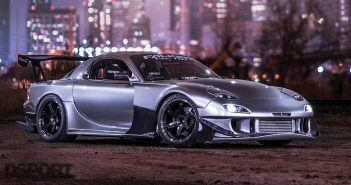 Unlike the MX-5 Club model, which comes equipped with Bilstein shocks, the Sport model that we house in the DSPORT stable utilizes Mazda’s softer components. In this first D’Garage, we also paired CorkSport’s lowering springs with its front and rear sway bars. As a result, we discovered significantly reduced body roll and quicker steering response without sacrificing any ride comfort. Since we found the pattern of stiffening the chassis and suspension beneficial thus far, we decided to retire the factory dampers in favor of a set of coilover suspension to increase the car’s range of adjustments further for the next evaluation. 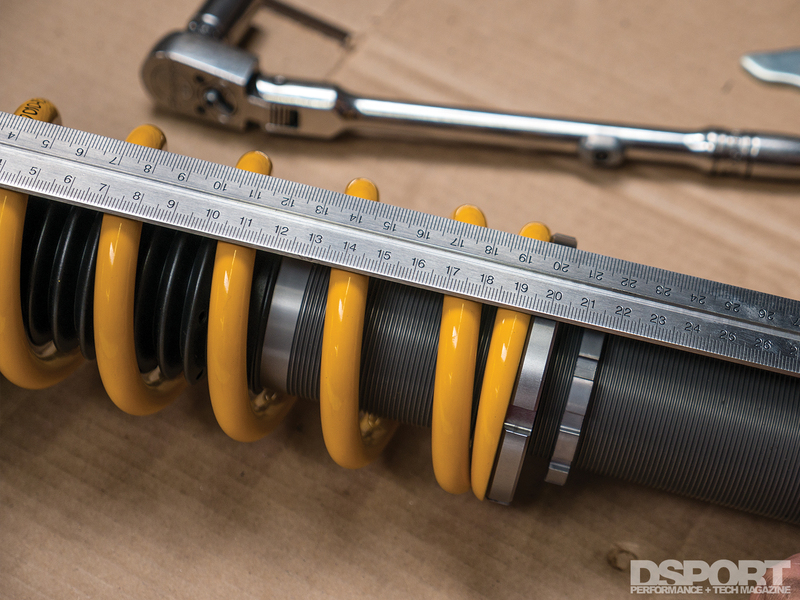 In our search for a new coilover suspension, we hunted for options that could provide comfort on the street while maintaining the ability to perform on a racetrack. To this end, we turned to Öhlins for its new one-way adjustable Road & Track kit designed for the ND MX-5. This kit utilizes Öhlins’ patented “Dual Flow Valve,” or DFV, technology to help the car smooth out bumps on the street while enhancing performance on the track. This design concept also intends to deliver the same characteristics on rebound as it does on compression, making damper settings more consistent and predictable for the user. 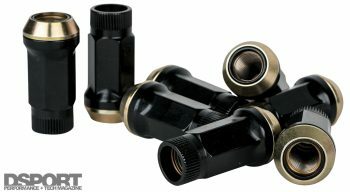 Öhlins offered us two spring rate options to match with the Road & Track dampers. First, the “street” application which utilizes 7 kgf/mm springs in the front and 4 kgf/mm in the rear. For a more aggressive setup, Öhlins also offers the “race” springs that employ 10 kgf/mm front springs and 6 kgf/mm rear. With the goal of improving the MX-5’s lap times, we selected the stiffer springs. 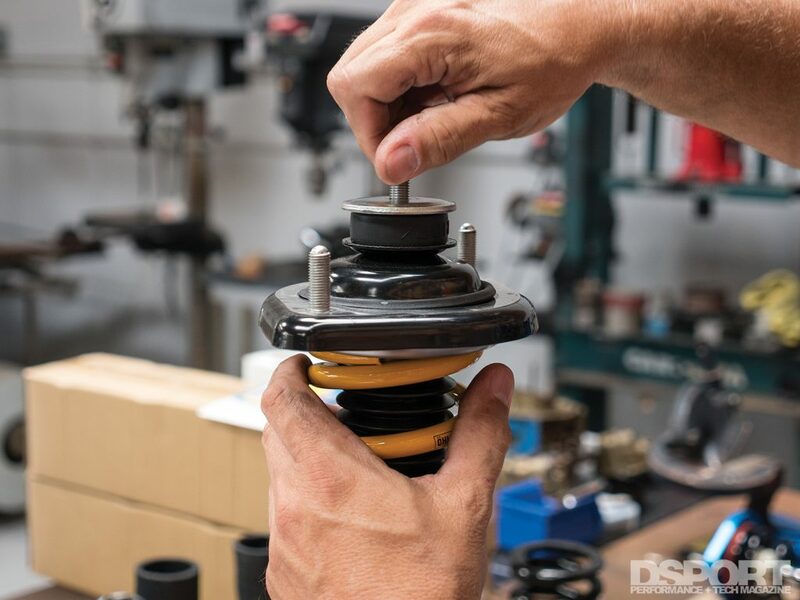 As the car’s chassis and suspension make strides in performance, we also looked into new wheels and tires to optimize the benefits of the coilovers. Öhlins provided highly detailed instructions for initial setup on the Road & Track coilover suspension, down to the millimeter, for ride height and spring preload. 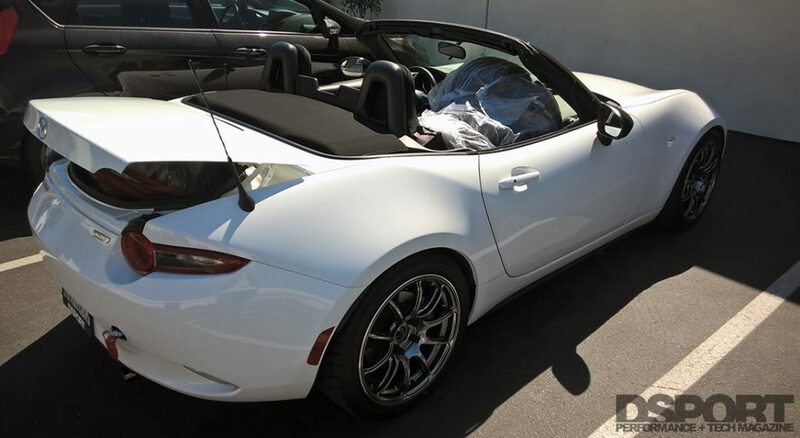 Although Mazda equipped the ND MX-5 with relatively lightweight aluminum wheels, the Sport model received 16×6.5-inch rims wrapped in 195/50R16 tires, as opposed to the Club model’s 17×7-inch wheels and 205/45R17 tires. In the hunt for a larger contact patch, we discovered surprisingly few wheel options that matched to the MX-5’s 4x100mm lug pattern. 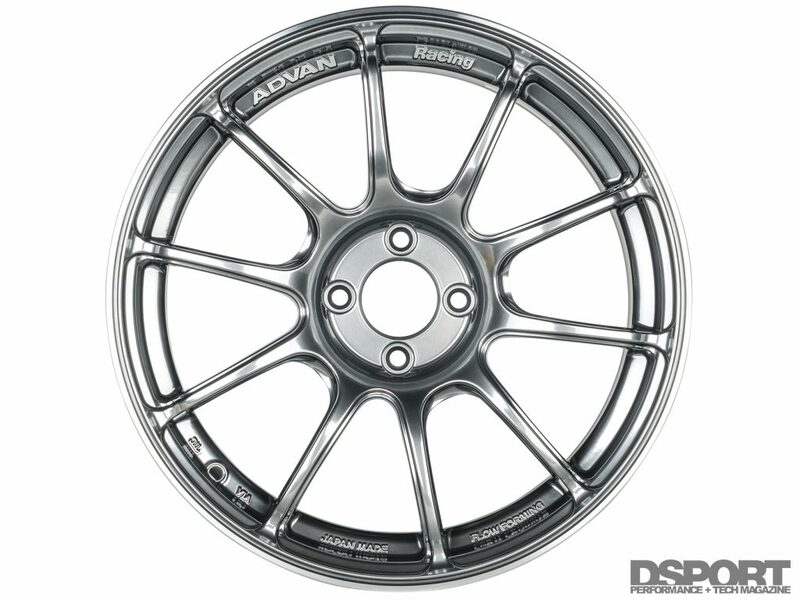 Fortunately, Yokohama produces the Advan Racing RZII with a 4x100mm lug pattern in a 17×7.5-inch diameter and width that fit perfectly. The flow-formed cast wheel would maintain lightness to keep the MX-5’s unsprung weight low, while pulling off a stronger look to the car’s overall aesthetic. Instead of using the factory lug nuts, we would mount the wheels with Muteki SR45R lugs with rotating taper seat to enhance the look even further. Next, we’d search for a more aggressive tire to match our intentions to track the car but daily drive it during the week. In order to meet these needs, we mounted a set of Toyo Tires’ Proxes R1R rubber. 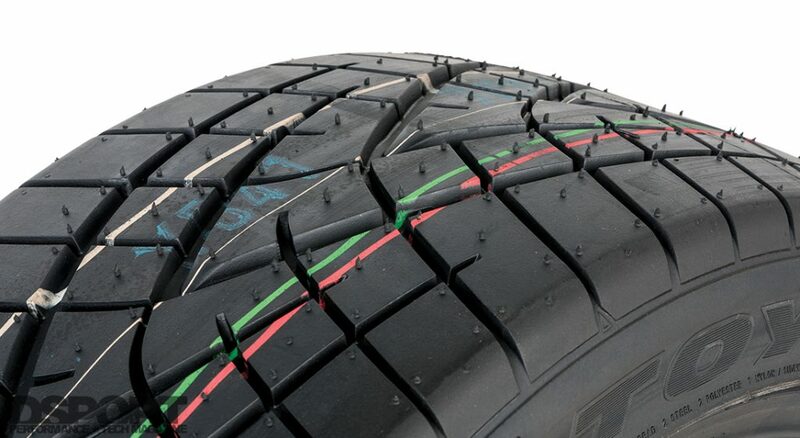 These 215/45R17 extreme performance summer tires, constructed with a 200 AA treadwear rating, would greatly increase the contact patch to the road on stickier rubber. By utilizing this wheel and tire combination, the speedometer calibration would also maintain its accuracy for referencing speeds. A set of Toyo R1R tires wrapped around the Yokohama Advan RZII wheels, which mounted to the MX-5 hubs with Muteki SR45R lug nuts. Given that this MX-5 would regularly hit the track for long periods of time, particularly at brutally hot locations like Buttonwillow Raceway, we’d have to prepare the car to take the heat. 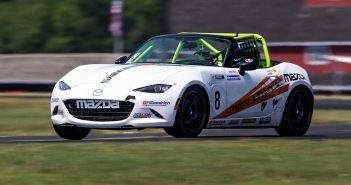 Instead of engineering a new method of mounting and plumbing an oil cooler, we consulted with Setrab, who produces the oil, transmission and differential coolers currently used on the MX-5 Cup cars. The Cup cars utilize Setrab’s 13×5.75-inch oil cooler, mounted behind the front bumper and in front of the radiator. We employed a similar setup in our D’Garage MX-5 in order to endure the more taxing track days and race events. The next step would entail packing the necessary gear for the track and heading out to test the new equipment. With the Setrab oil cooler, lines, fittings, sandwich plate adapter and mounting brackets, we had all the pieces necessary to keep the MX-5 temperatures down for especially strenuous conditions. In case you were wondering, yes, you can transport a full set of wheels and tires in the ND MX-5. We packed the MX-5 with all the track day essentials, which was every bit as challenging as it sounds. Since tire testing was on the to-do list, we mounted the RZII wheels and Toyo R1R tires to the car and loaded the four factory wheels and tires inside. With three of the wheels in the passenger seat and one mostly fit in the trunk, there was still just enough room to bring a small set of tools, a helmet, the Racepak G2X datalogger and a few bottles of water. Despite the MX-5’s little storage space, we managed to cram in a set of wheels and tires, a basic set of tools and a helmet. Steve Lepper at Gearhead’s Garage assisted with parts installation and setup for this test. First, we maxed out negative camber for more traction. With stiff damper settings and the sway bars adjusted for more softness in the rear, the car found a healthy balance of front and rear grip. If we were to make a change, adding front toe-out or softening the front bar would have been preferred for better responsiveness.